Becoming the first college in the state to purchase a Laser Welder, Cowley College students will get an opportunity to use the machine as part of the Advanced Welding Processes course. 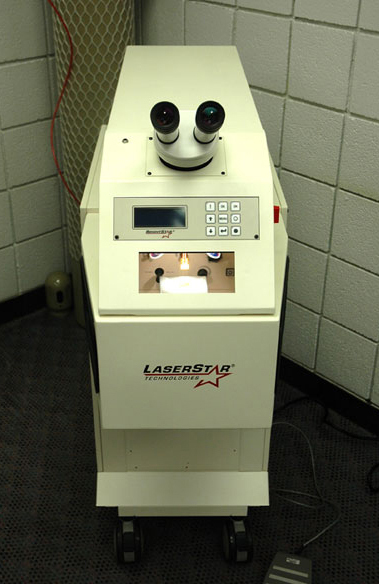 Cowley students will begin using the Laser Welder during the 2008-09 academic year. The Laser Welder is ideal for a wide range of metal joining and repair applications for jewelry, dental lab work, aerospace and optical purposes. Cowley College welding instructor Bob Moffatt is happy to have the Laser Welder on campus. “I think it will be an eye opener for the students and serve as a recruiting tool for us,” Moffatt said.